9to5Google was also able to confirm some of the specs for the two new devices. The Pixel 3a will sport a 5.6" display, and the Pixel 3a XL (sigh) will have a 6" display. The phones will be offered in three colors: white, black, and Google's typical understated but seemingly random third option. It will also have the Active Edge pressure-sensitive sides for the Assistant, Titan M security chip, an eSIM, 18W fast charging over USB-C, and 64GB of storage. Other details, like final prices, battery size, and the precise SoC — either a Snapdragon 670 or 710, according to rumors — remain unconfirmed. 9to5Google was unable to verify the precise launch date for the phones, though its source speculated that our earlier report that it would launch on Verizon in the spring is probably true. Given that the pace at which information is trickling out seems to be picking up, we'll probably hear more soon. If our earlier report about Verizon availability was correct, we should see a formal reveal within the next three months. 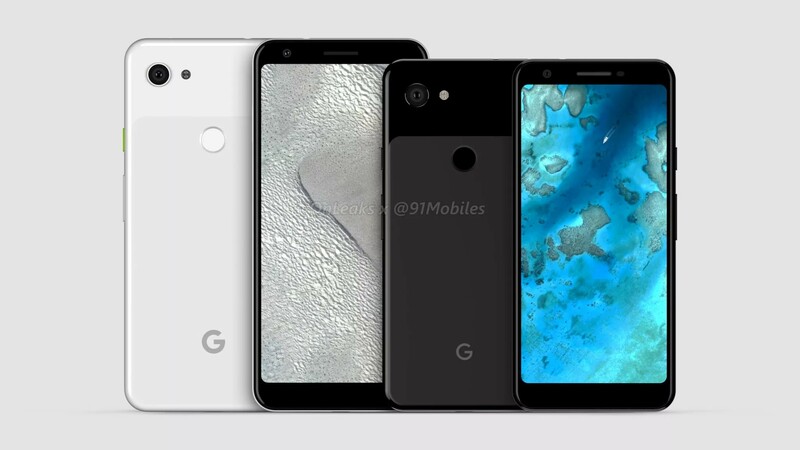 9to5Google's Stephen Hall has been further able to confirm additional specifications from the smaller Pixel 3. It will have a 2220x1080p display (440PPI), a verified Snapdragon 670, 4GB of RAM, an 8MP wide-angle front-facing camera, and a 12MP rear camera. The latter is alleged to output identical quality photos compared to the Pixel 3, though the camera's app performance won't be quite so good — expected given the slower SoC.